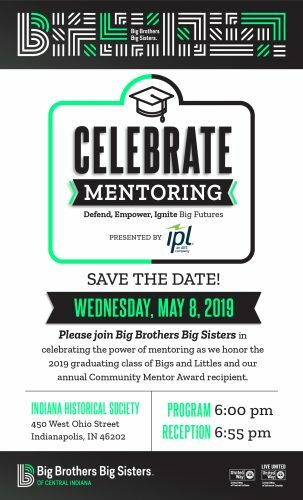 Please join us in celebrating the impact of mentoring as we honor our 2019 graduating class of Bigs and Littles. We invite you to be part of our largest celebration! RSVP details and Community Mentor Award Recipient information coming soon! For more information, please contact Jackie Lai at [email protected] or 317-472-3704. To view pictures from the 2018 Celebrate Mentoring, please click here. The Community Mentor Award is presented each year to a Central Indiana leader who has demonstrated a passion for mentoring and a commitment to mentoring in his or her personal and professional life. This award is the highest honor BBBSCI bestows. Al Oak is the Chairman and CEO of Cripe, Co-Founder and Chairman of ECO Oxygen Technologies, LLC, and a three-time Big Brother. Al Oak is Chairman and CEO of Cripe, an architectural and engineering firm based in Indianapolis. He joined Cripe as a land surveyor and since then has served in just about every area of the firm. He has been involved in the design and project management of a number of large-scale, multi-use developments. The firm has won numerous awards as a "best place to work." Al is also Co-Founder and Chairman of ECO Oxygen Technologies, LLC, which provides environmentally effective solutions to treatment of water and wastewater through superoxygenation of effluent throughout the U.S.
Al is a Past President of Big Brothers of Greater Indianapolis (and is currently a Big Brother for the third time), Past Chairman of both the Greater Indianapolis Chamber of Commerce and the Indianapolis Neighborhood Housing Partnership, Chairman of Paul I. Cripe Charitable Foundation, and a past Director of the Greater Indianapolis Progress Committee. He has served on several for-profit boards and is currently a member of Old National Bank's Community Board. Al has been recognized as a Distinguished Alumnus of the School of Civil Engineering at Purdue University, a recipient of the Legacy Award from the Kelley School's Center for Real Estate Studies, and a Distinguished Hoosier by the Governor of the State of Indiana. Recently, Al was admitted to the Academy of Alumni Fellows, the Kelley School of Business. He and his wife, Shary, are the recipients of the “Spirit of Philanthropy Award” at IUPUI. Al and his wife Shary reside in Indianapolis. They have one child, Adam, who also works at Cripe and is married to wife, Christen, and there’s a grandson, Miles! 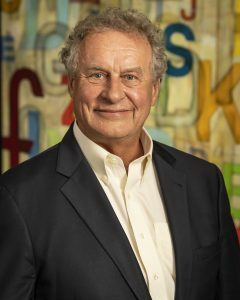 Big Brothers Big Sisters of Central Indiana is honored to recognize Al Oak as the 2019 Community Mentor Award recipient and is grateful for his tremendous service to the youth in our community. To learn more about the Big Futures program and sponsorship opportunities, click here or contact Laura Haltom, Corporate Giving Manager, at [email protected] or 317-472-3732.